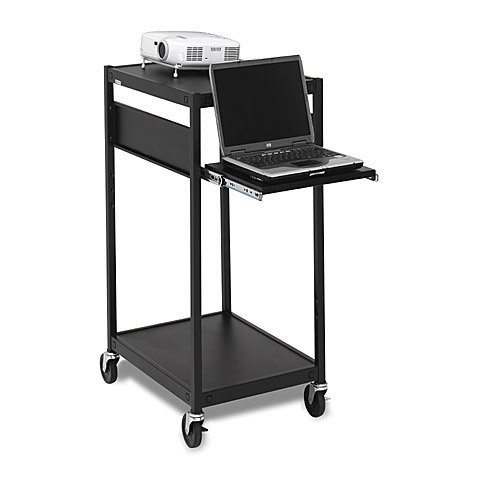 15" W x 13" D, pulls out 13"
Compact Data Projector Carts by Bretford® work with overhead projector, laptop, or tablet. 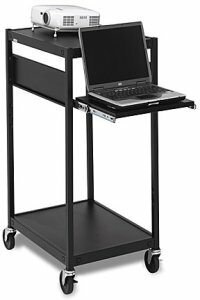 Pull-out notebook computer shelf can be set to seated or standing heights with three adjustments and pulls out on smooth rolling glides. Cart comes with a pull out shelf and an adjustable top shelf. Steel design makes this cart stable and durable.